Municipalities are pushing hard for mixed-use developments when granting building permits and, while such properties can be great assets, planners should be wary of trying to force a square peg into a round hole. 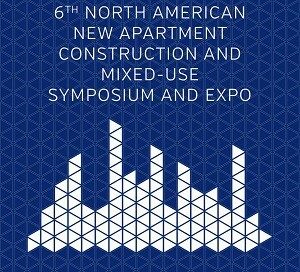 Mixed-use developments were in the spotlight at the 6th North American New Apartment Construction and Mixed-Use Symposium and Expo in Toronto. Residential developers forced to include ground-floor retail in their condominiums or rental apartments, especially if they’re not on busy streets, can often see that space go unleased for long periods of time. This is Part I of a two-part feature chronicling this forum. Watch for Part II in Renx’s Thursday Property Biz section. “Municipalities are often pushing a well-intentioned, but tone deaf requirement of having a certain amount of retail with anything that’s multi-storey,” SmartREIT (SRU.UN-T) chief development officer Mauro Pambianchi said at the North American New Apartment Construction and Mixed-Use Symposium and Expo at the Metro Toronto Convention Centre on June 6. SmartREIT owns 31 million square feet of retail across Canada, which includes about 3,000 acres of land, with about 75 per cent dedicated to parking. It’s looking to intensify its sites through the addition of self-storage, condos, purpose-built rentals and seniors housing, especially in areas with growing populations and easy access to transit. Platinum Investment Real Estate Group Inc. is closing on a Toronto condo this month, and president Sean Greene said it could be the company’s last, as he sees more value in purpose-built apartments. While retail may no longer be the best use for certain sites, Pambianchi said it can still be so valuable it doesn’t make sense to change it. There used to be a rule of thumb where shopping centres provided 6.5 parking spots per 1,000 square foot of retail, which Pambianchi said has gradually dropped and is now down to about four parking spots per 1,000 square feet of retail. While reliance on cars may be slowly declining, Greene warned his company built a high-end, boutique condo building in Toronto that had a one parking spot per unit ratio. He found they couldn’t sell suites as quickly as expected because of parking issues, as many wealthy potential purchasers had two cars. “The dream of municipalities is that the billions of dollars that’s going into infrastructure for LRTs and rapid transit buses would be that everyone parks their cars or goes down to one car and starts travelling on these transit systems,” said Greene.